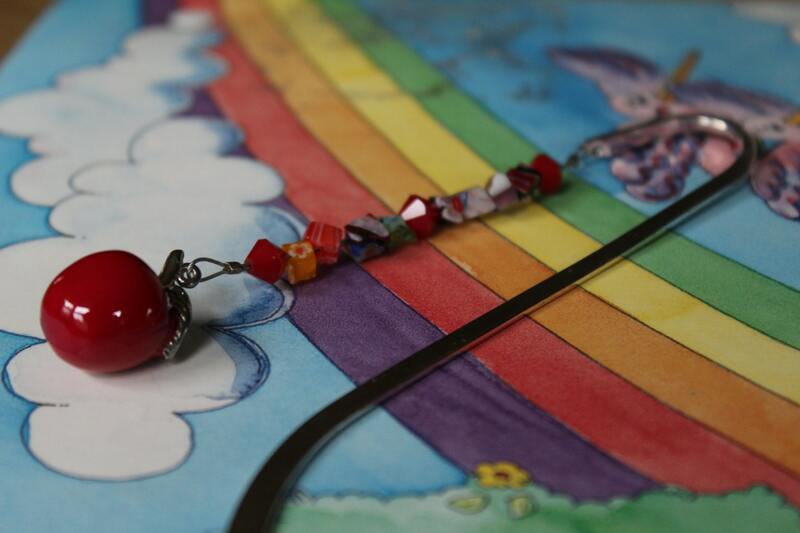 A beautiful beaded bookmark in the colors of a rainbow, and finished off with a wonderful red apple at the bottom. The perfect teacher gift and accessory for school! 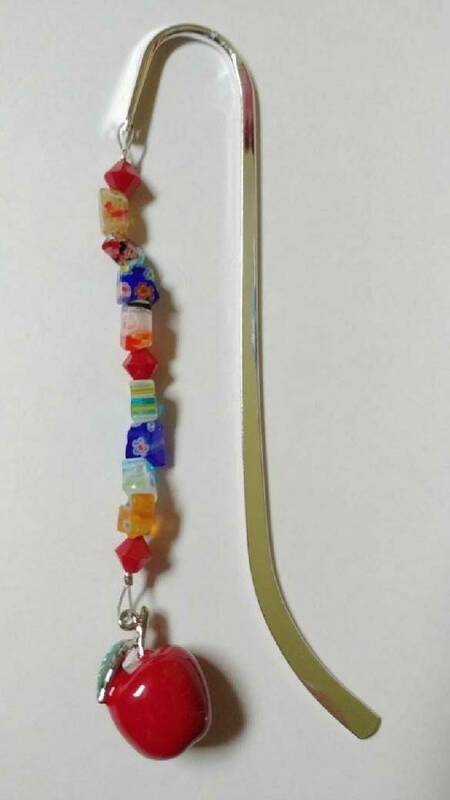 This entire bookmark is 5 inches long. 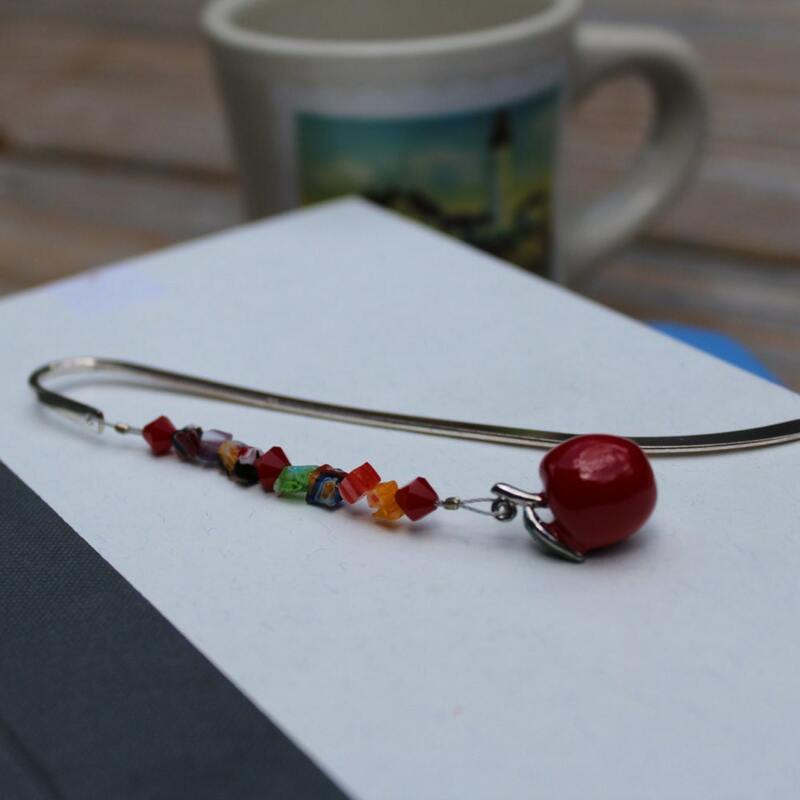 Metal bookmark is sterling silver plated. Colorful bead chips are beautiful millefiori bead pieces, and the apple charm is made of enamel (21.5x16mm). Please note: Millefiori beads are handmade, so bead colors, sizes and shapes will vary.